1. Purge your non-essential linens. Be honest with yourself about how often you actually use your cheetah-print towels or the faded lime green sheets you got when you were in your “bold color” phase. Chances are good that you don’t use at least half of what you store in your precious closet space. Rather than finding a spot for the hideous floral towel set you loved five years ago, donate it instead. Organizing is so much easier when you have less stuff to work with. Check out our awesome 15 decluttering tips from certified professional organizers. 2. Line your linen closet shelves. This simple preventative measure goes a long way in maintaining the quality of your linens. Certain wood and melamine shelves can cause fading or discoloring on your sheets over time, so to avoid permanently damaging them, cover your shelves with liner. You can go basic and practical or patterned and pretty — the options are endless. Want more info on cleaning and storing your bedding? 3. Always put things away clean. This should go without saying, but washing your sheets and towels before you stack and organize them is crucial. That way you know you’re always reaching for a clean item when you need to make your bed or resupply the guest room with fresh towels. Iron your sheets after drying them and learn how to fold them in such a way that they stay wrinkle-free even when stacked. Bonus Tip: Learn how to fold and store shirts the KonMari way. 4. Sort and organize your linens by category. There are a few ways you can do this: by type, size, or location. If you have distinct sheet sets and linens for each room in your home, separating them by space is easiest. 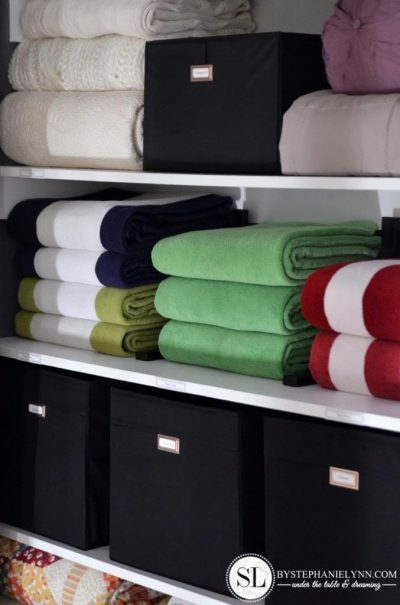 If, however, your towel and sheet sets are more versatile and interchangeable, you may want to organize them by size, type, or color. Keep everything else — beach towels, dish towels, table runners, duvet covers, quilts, and the like — organized alongside their fellow items. 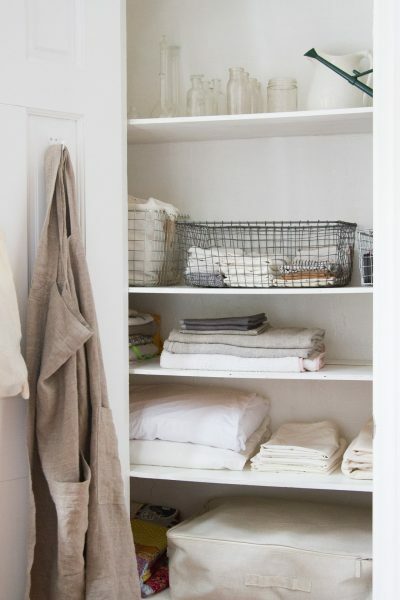 Make sure to put your most frequently used items at the front and center of your linen closet for easy access, and relegate off-season or little-used items to the top shelf or back of the closet. 5. 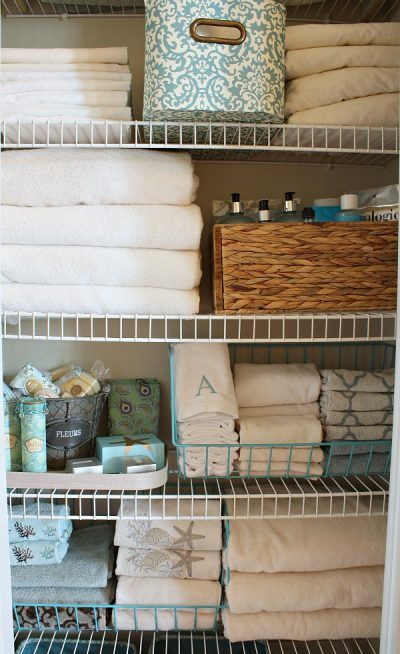 Use boxes, bins, and baskets to store and separate your linens. If you have a ton of different types and sizes of linens, designated mini storage zones are the way to go to keep everything neat and easy to locate. 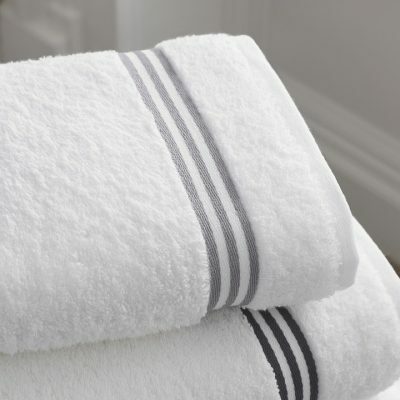 You can use fabric boxes, cloth bins, or straw and wire baskets to separate your different items: bath towels in one, dish towels in another, guest bedroom sheets in another, and so forth. If you want your linen closet to look straight out of a Martha Stewart ad, invest in coordinating boxes so everything looks clean and uniform. 6. Don’t forget about fabric bags, zippered plastic pouches, and space-saving bags. For everything that can’t be stored in a box or basket, get creative. That plastic zippered duvet bag you weren’t sure you should save? Pull it out from under your bed and use it to hold your duvet, down comforter, or even a spare feather pillow. Extra beach towels, quilts, and pillows can also fit into fabric drawstring bags, which allow them to breathe a little. For bulky, but easily squishable items, employ the help of a handy space-saving bag. These miraculous little bags will compress even the heftiest of bedding down into a neat square, saving you tons of room. 7. 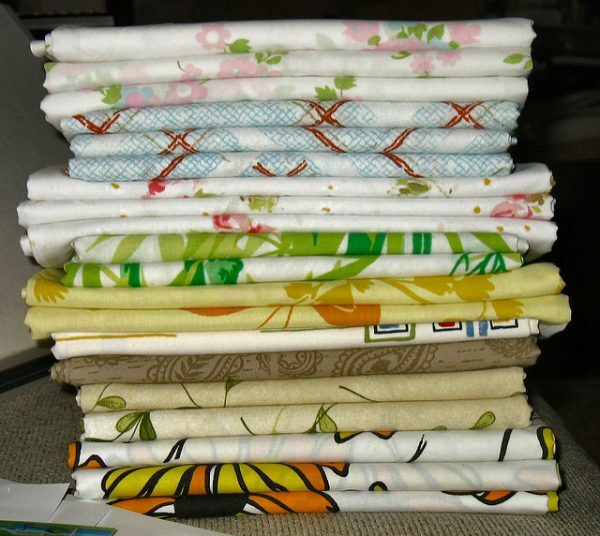 Store sets of sheets in corresponding pillowcases. Forget pairing cream-colored pillowcases with your crisp white sheets because you can’t find their match. Forget frantically digging around in piles of fabric to locate the one navy blue fitted sheet you know is in there somewhere. And forget the tears of frustration. 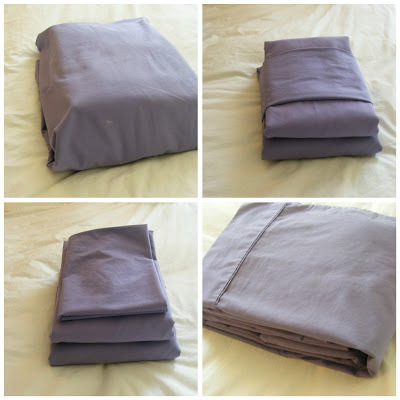 Instead, fold your sheets neatly, then tuck the entire set inside one of its corresponding pillowcases. 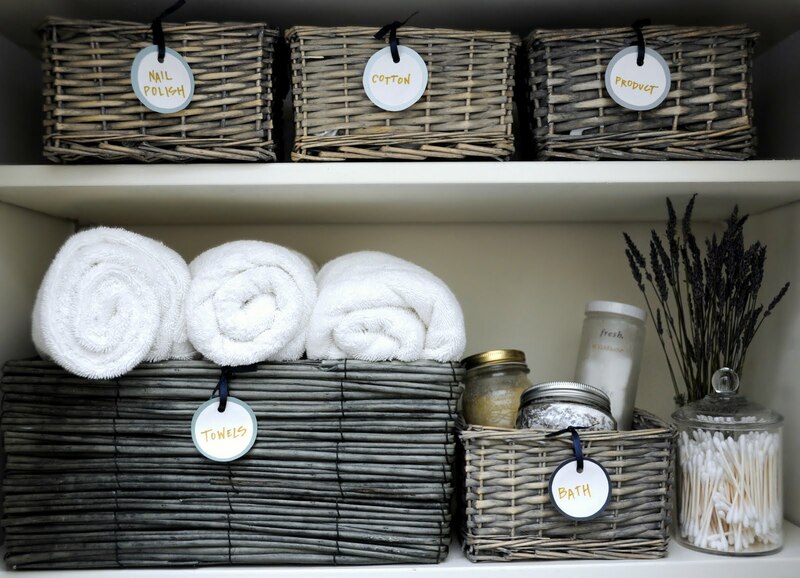 Once you’ve got your linens sorted and organized into different stacks and storage bins, slap a label on everything. Being able to distinguish between your full-size and queen-size sheets in a single glance will make it a cinch to find exactly what you’re looking for — both when you want to take things out and put them away. 9. Use an over-the-door rack to hang tablecloths and runners. A rack on the inside of your closet door is perfect for storing table runners and tablecloths neatly. Hanging these items doesn’t just make them easy to see and access, it also helps keep them dust- and wrinkle-free so you can pull them out for a dinner party with just a moment’s notice. 10. Keep your linen closet fresh. Nothing destroys an impeccably organized linen closet faster than moths, must, and mildew wrecking your beautiful bed and bath necessities. Stick a box of baking soda on your closet floor to absorb bad odors. Strategically place cedar blocks along your shelves to prevent moths and bugs. 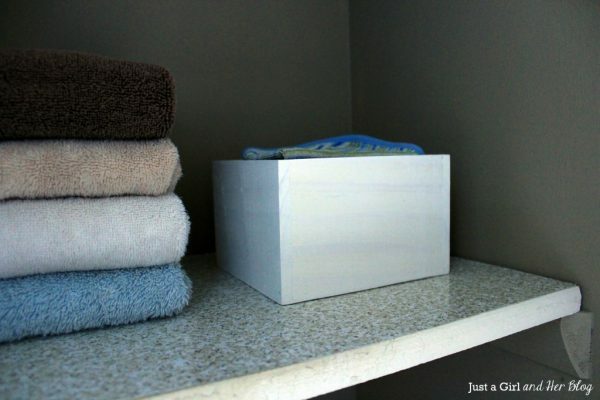 Put a dryer sheet inside your packaged sheet sets to keep them smelling clean. 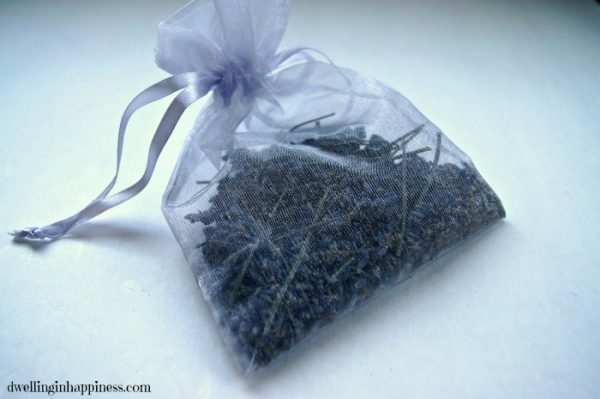 Toss a few lavender sachet bags or scented soaps in your linen boxes so they maintain that soft, just-washed smell. 11. Use MakeSpace to store the linens you can’t. For all those off-season quilts or duvet covers that are too tricky to store, use MakeSpace. All you have to do is schedule a pickup and pack your stuff. We’ll pick up everything from your home and transport it to our secure, temperature-controlled storage facility (which means no chance of mildew or moths). And when the weather changes and you suddenly need the cozy knit throw your Grandma made you? Just browse your convenient online photo catalog of your stuff and click a button to get it back in no time.